It’s in our name because we do it all. Whether you need us to build a large structural piece, retrofit your farm equipment, or design a piece of artwork, we can craft anything to your desired specifications. 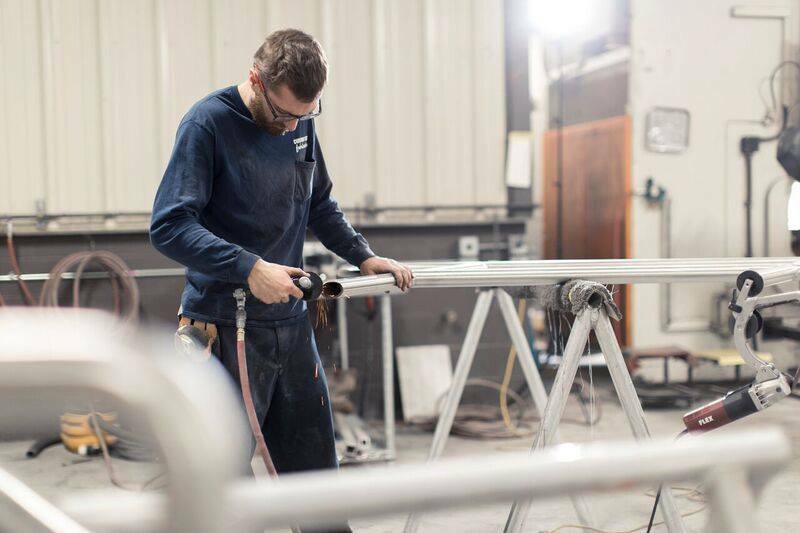 From initial design, welding, bending and so much more, we guarantee our custom fabrications will satisfy and are built to last. Custom railing: For your home, your business, or your event venue, our custom railings are guaranteed to last. We can make railings of any size and style with any finish you want. Artwork and signs: Our custom sign work is unmatched. Our team puts the maximum amount of work into every piece making sure your piece is perfect. Our high-quality materials combined with our expertise and attention to detail makes every piece unique and guaranteed to satisfy. Custom fire pits: Some of our most popular pieces are our custom pits. We laser cut each piece with any pattern or design you want for your fire pit. Have another request in mind?